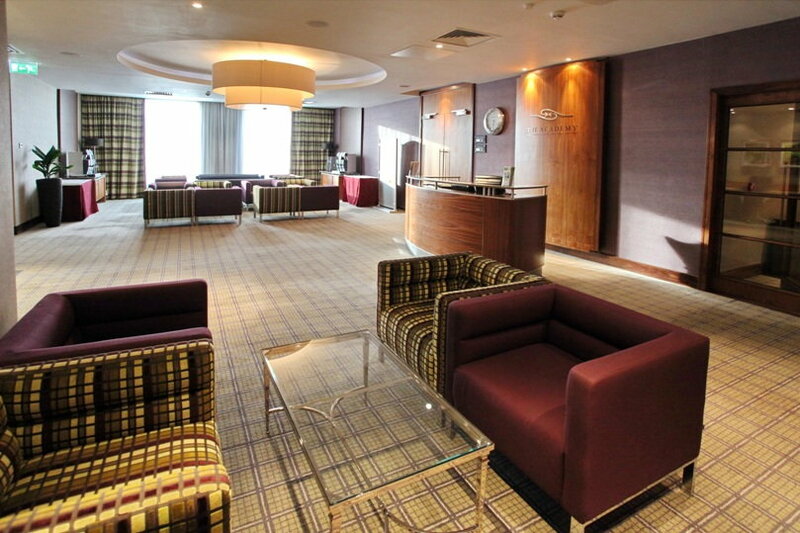 The 4 Silver Star Holiday Inn Reading M4 Jct 10 offers a unique venue in tranquil surroundings for family and friends to meet after the funeral. You will find helpful and sympathetic advice from a dedicated team who will help take care of all your requirements. We can provide a selection of private suites or our 2 AA Rosette Caprice Restaurant & Terrace for your private function. Whether a Finger Buffet, Afternoon High Tea or a discrete Funeral reception, we can assist you with providing tailored menus to suit your specific requirements. Conveniently located adjacent to the train station in Winnersh Triangle and within close proximity to the Easthampstead Park Cemetery, M4 Motorway, Wokingham, Reading and Bracknell. Room hire and secure car parking are complimentary. To check availability and arrange an appointment to view the venue, please contact our dedicated Events Team on 0118 944 4231 or events@hireadinghotel.com.